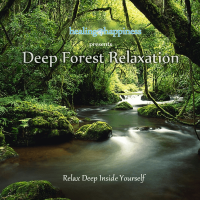 For stress relief, relaxation and meditation are proven to be the most important tools needed in our modern day lives. The increasing demands we face everyday causes the stress responses in our body to fall out of balance. These stress responses build up over time and lead to severe health problems (see www.webmd.com). Relaxing and meditating greatly relieve stress and control our stress responses by helping our mind stay present in the current moment. It releases all tension in our muscles and keep our bodies relaxed and happy. Stress is your body’s response to an event or situation that is perceived by your mind to be threatening. We are faced with these stressful events and situations so often, that it can become a familiar and accepted part of our lives. This is a danger, as our bodies take drastic measures to deal with stressful situations; by releasing extra hormones, re-directing body fluids into the bloodstream and increasing our heart rate and lung function. Our bodies are not designed to use these defenses so often. Overuse results in total exhaustion and ultimately leads to a list of health problems that we are then having to deal with. The most common health problems caused by excessive stress are: heart disease, headaches, asthma, depression, diabetes and obesity (read more at www.webmd.com). Anybody who suffers from any of these problems may have too much stress in their life because of the way they perceive situations. Stress relief, through regular relaxation, meditation and yoga, all counter-act the effects of stress directly. Over time, as one becomes more aware of how the mind creates stress in situations, it can be avoided all together. Your ability to be calm and collected under pressure will improve. You will find yourself in states of joy and serenity, while enhancing the quality of your life, health and inner well-being. The drastic measures our bodies take in dealing with threatening situations, are known as stress responses. Noting these responses and their symptoms are important steps to improve your ability to reduce stress in your body and mind. An angry or agitated reaction – you’re burning inside, overly emotional and restless. A withdrawn or depressed reaction – you’re not present, you show very little emotion or energy, you isolate yourself. A tense and frozen reaction – you feel paralyzed, agitated, you “freeze” under pressure and can’t make decisions. Nervous habits (e.g. nail biting, pacing). Indulging in relaxation regularly will help keep your body and mind healthy. It promotes healthier eating habits, clarity of thought, a happy demeanor, a positive and calm approach to life and an inner sense of peace and harmony, just to name a few. Indulging in our guided relaxation and meditation audio regularly, will help keep your body and mind healthy, as the audios are designed for stress relief. 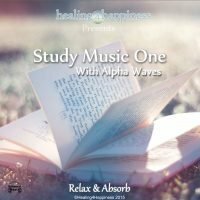 With a calm body and mind, our gentle music seeps into your subconscious completely relaxing you and guiding you into a peaceful, deep, relaxed state or sleep. 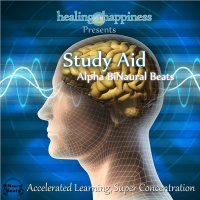 This Ultimate Stress Relief Solution contains 6 tracks, with over an hour of audio to help you remove stress completely from your life.